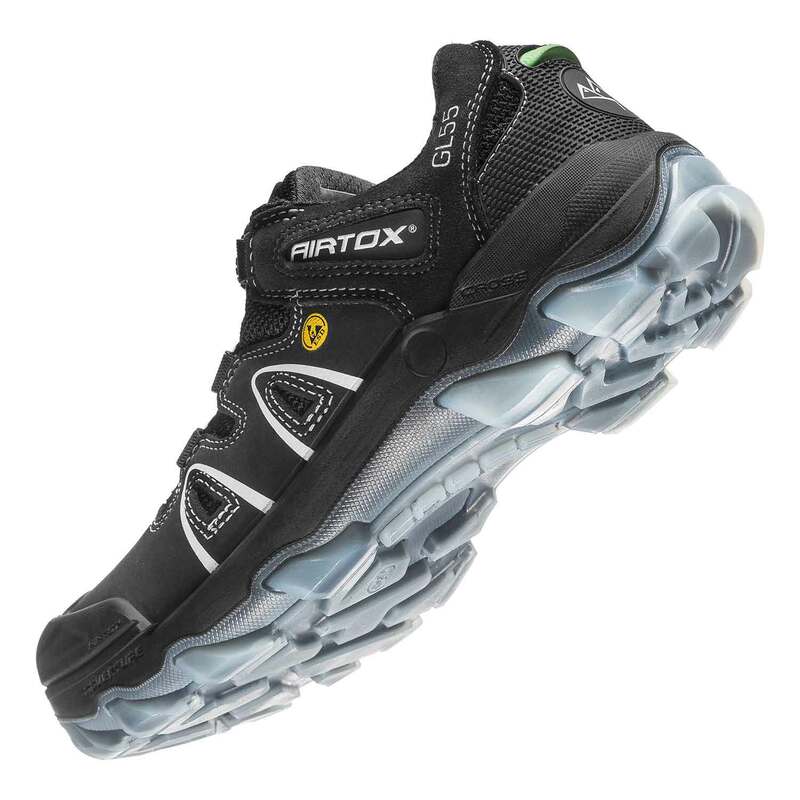 AIRTOX GL55 safety shoes are a combination of modern contemporary design and high technology safety properties. A basic model of our G-SERIES collection. The hard work collection with additional strength to the front part of shoes. Upper is made with anillin breathable untreated leather in combination with our very unique patented fabric POWERBREEZE® technology, that guarantees excellent airflow in your shoes whatever you do and wherever you are. Constructed to give you both a very strong upper and at the same time maintain a high breathability (a highly complex combination). 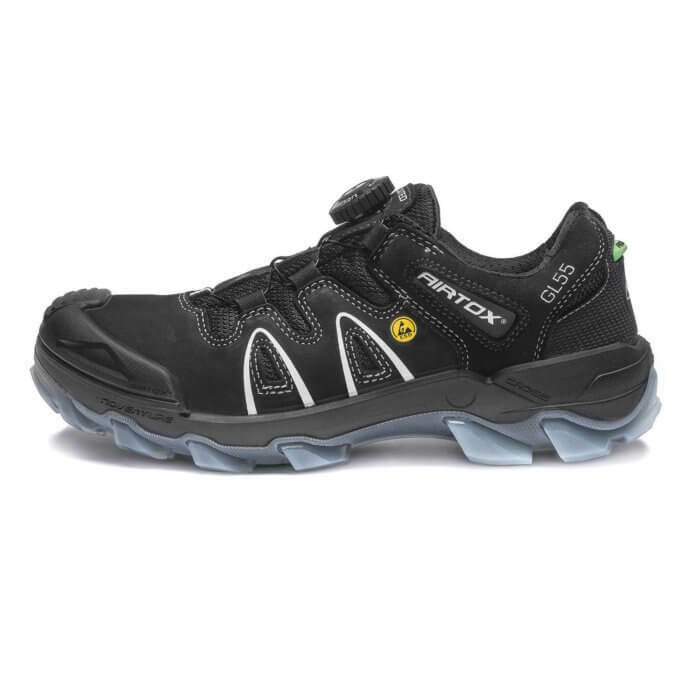 GL55 safety shoes equals cool athletic look. And we took this style one step further – UTURN® – our advanced intelligent alternative to traditional shoelaces. A significant timesaver in putting on/taking off shoes. 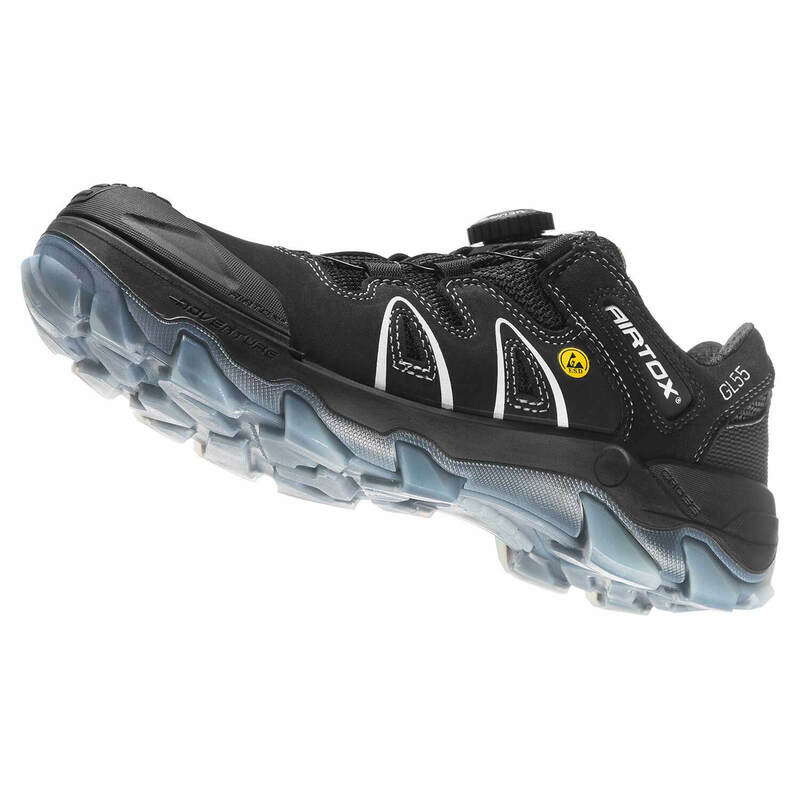 At the same time our flexible, lightweight midsole makes them so comfortable, that you even forget wearing safety shoes on your feet. 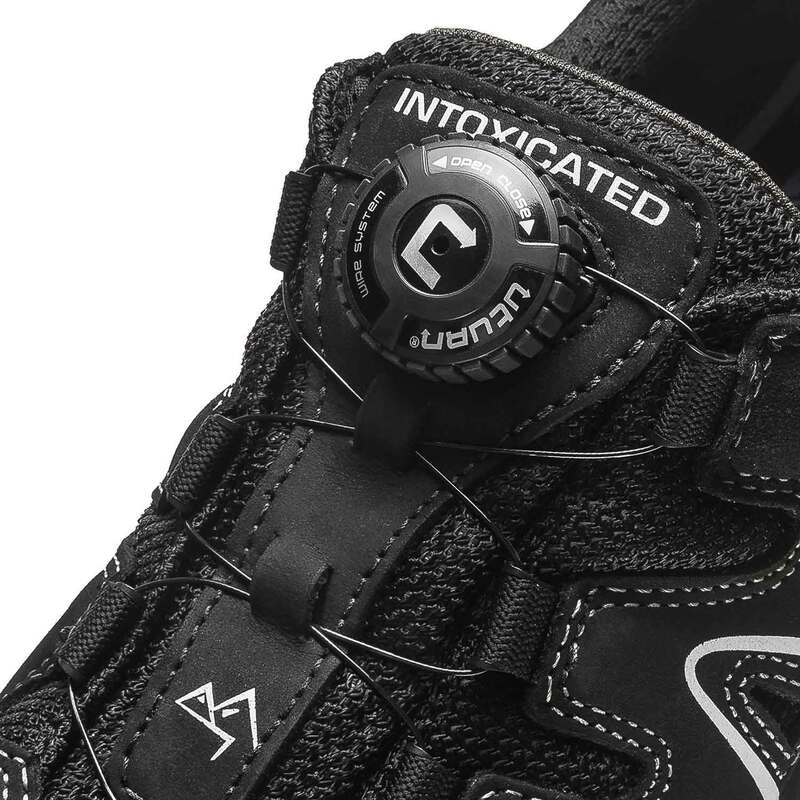 High protection against any injuries provided by our ligthweight ergonomic aluminum toe cap, our reliable Tech-FiberTM anti-penetration layer and energy absorbing insole. Finalized with our unique and slip resistant clear non-marking TPU outsole. 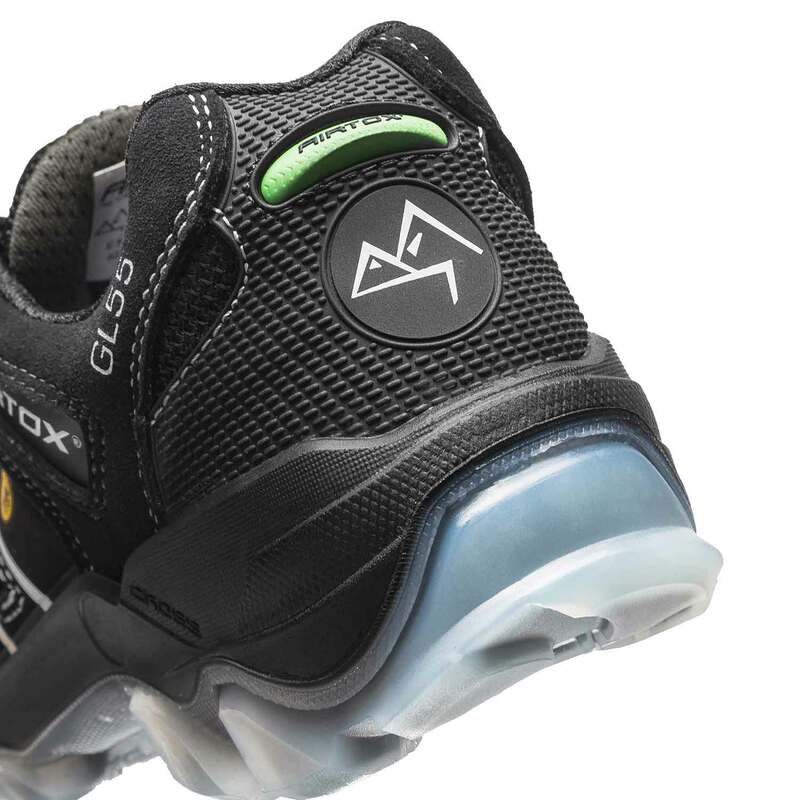 This model is very suitable in the construction industry with high demand to strenght and also greatly appreciated in the indoor flooring industry with its noses and clear non-marking outsole.